1- Premier League Generates Club Strength: The presence of England’s Top Six – Manchester City, Liverpool, Manchester United, Tottenham Hotspur, Arsenal and Chelsea in Friday’s quarter final draw confirms that strong competition among these clubs is propelling them to a higher level. Countries whose domestic leagues are dominated by just one or two clubs – read Paris Saint Germain in France and Bayern Munich in Germany, don’t carry any intensity into European competitions. That’s why Man United who lie fifth in England, could eliminate PSG. Same applies to Spurs. For a Spurs side that hasn’t won the Premier League at all to dismantle then Bundesliga leaders Borussia Dortmund 4-0 on aggregate is a testament to England’s top division’s strength and an indictment on Germany’s equivalent league. PSG as well can do with stiffer competition in French Ligue One. 2- Ignore Pedigree At Own Peril: Although the Europa League threw up a couple of surprises; with Czech heavyweights Slavia Prague upstaging three-time winners Seville and Eintracht Frankfurt eliminating thrice European champions Internazionale of Milan, most duels ended in favour of sides with continental history. For instance, pedigree was the only difference between former champions Benfica and Croatian side Dynamo Zagreb. In all other aspects, the teams were equals. They were only separated because the Portuguese side have been there, done that. An identical analogy can be transplanted to FC Porto’s tie with Italian nearly men AS Roma. Even the so call biggest upset of the Round of 16 – Ajax Amsterdam overturning a 1-2 first leg deficit to upstage Real Madrid and Manchester United’s 3-1 away ambush of PSG after falling 0-2 at Old Trafford, could not have been possible if the Dutch side and Red Devils weren’t previous tournament winners. 3- Finished article Ben Arfa worth a gamble: Can’t figure out why Hatem Ben Arfa is still playing with a French Ligue One mid-table side like Rennes. Over two legs in his club’s Europa League tie with Arsenal, the former French international was the only player with real spark. Stade Rennais can count themselves unlucky that each time Ben Arfa created a goal scoring chance either by turning on the afterburners (he has astonishing acceleration), the drop of a shoulder, or shimmy and dummy; a Rennes striker was caught offside. Arfa can easily turn Premier League sides used to huffing and puffing without biting into Top Six contenders. Clubs like Leicester City, Everton, West Ham and Wolverhampton Wanderers must forget about his time at Newcastle United and take a gamble on Ben Arfa. He’s now a finished article. 4- Money strong success determinant: A cursory glance at Europe’s richest clubs throws light on which clubs reached the Uefa Champions League and Europa League quarterfinals. The Premier League’s Top Six – Manchester City and United, Liverpool, Chelsea and Arsenal are all among the continent’s fifteen richest football clubs. The same applies to Barcelona, Juventus, Napoli, FC Porto and Benfica. To narrow it down further; among Europe’s richest ten, only underperforming Real Madrid and Bayern Munich, who were beaten by a very adroit Liverpool outfit, were absent from Friday’s quarter final draw. Top Italian clubs AC Milan and Inter Milan, together with AS Roma ought to launch an inquiry into why of late their money is no translating into European success. 5- It pays to hire top coaches: PSV Eindhoven boss Marco van Bommel, Atletico Madrid supremo Diego Simeone, Wolverhampton Wanderers boss Nuno Espirito Santo and Jose Mourinho are the only coaches who would feature in my list of Top 12 coaches in club football whose teams did not qualify for Friday’s UEFA quarter final draw. 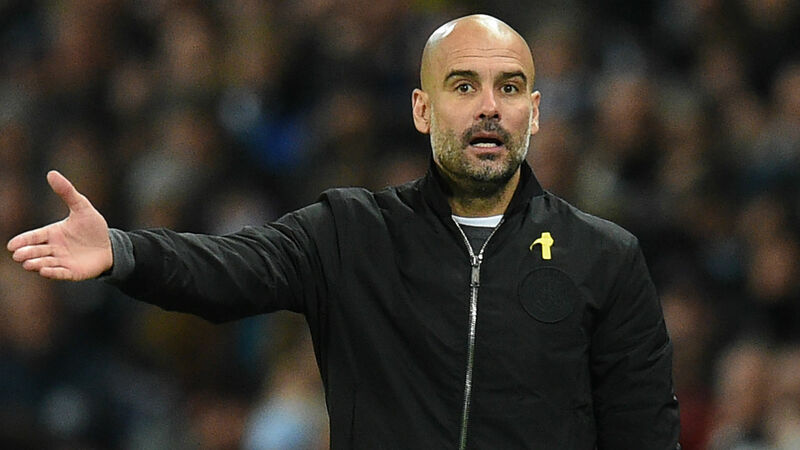 Otherwise, the game’s best coaches: Jurgen Klopp (Liverpool), Massimiliano Allegri (Juventus), Ernesto Valverde, Erik ten Hag (Ajax), Sergio Conceicao (Porto), Pep Guardiola (Barcelona) Mauricio Pochettino (Spurs), Unai Emery (Arsenal) and Maurizio Sarri (Chelsea) all kept their teams on track for European success. Jurgen Klopp is my number one coach in world football ahead of Guardiola and Allegri because he is delivering success while generating profits (a record £100m in the last financial year).